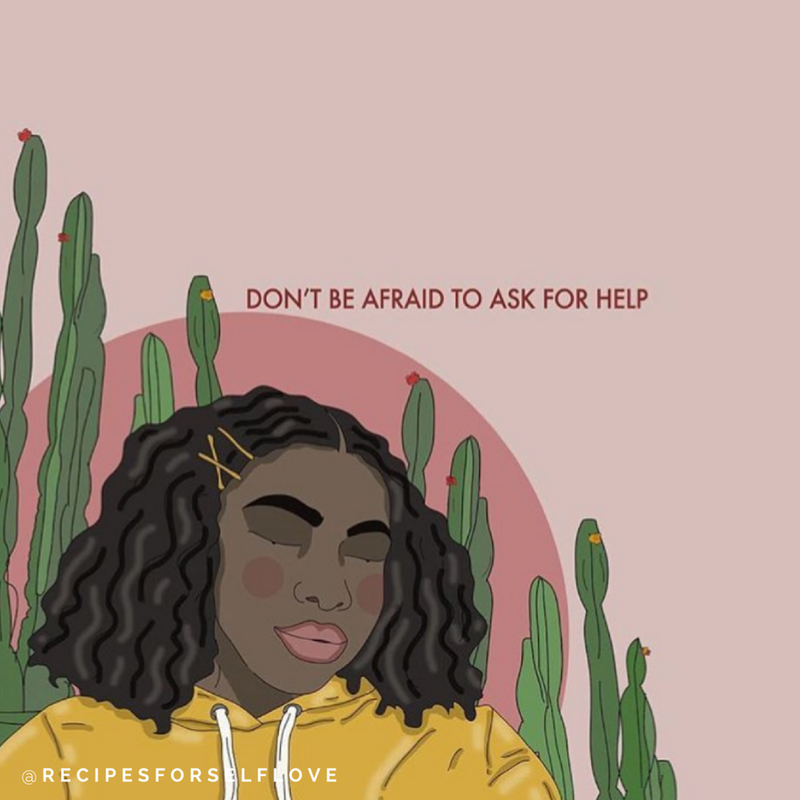 Affirmations of the Week: Recipes for Self Love. So, we were minding our business. You know, being Black and beautiful. And we happened upon this GORGEOUS affirmation movement, Recipes for Self Love. Lawd. 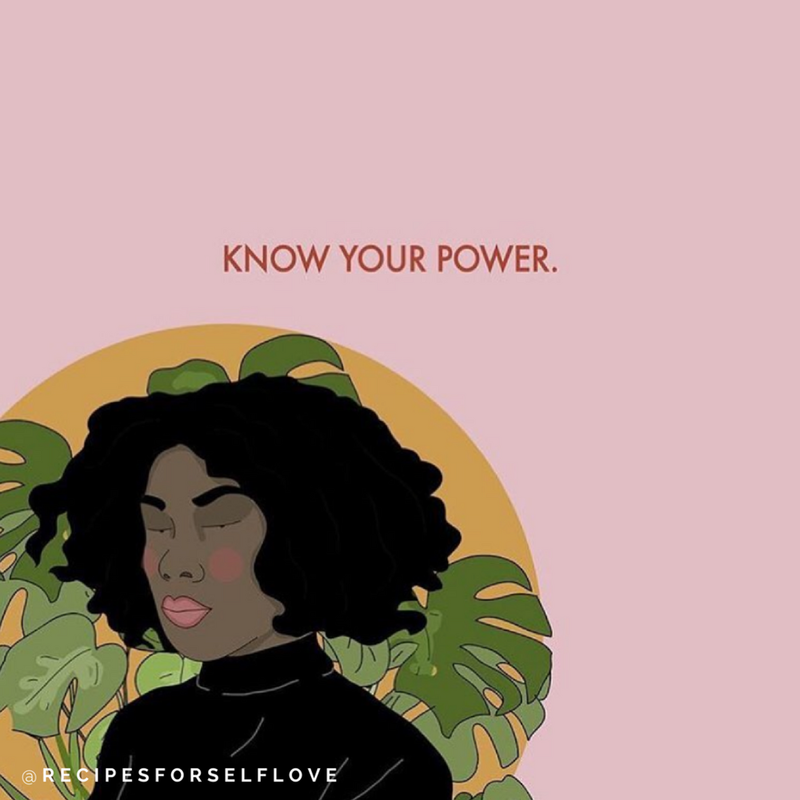 How about we spent a LOT of time going through these affirmations to not only present you with some of our favorites, but also link them to some of the Dear Black Women affirmations we on our site. Peep our favorites below. Inspired? Click on any affirmations that touch you for more affirmations on that theme. 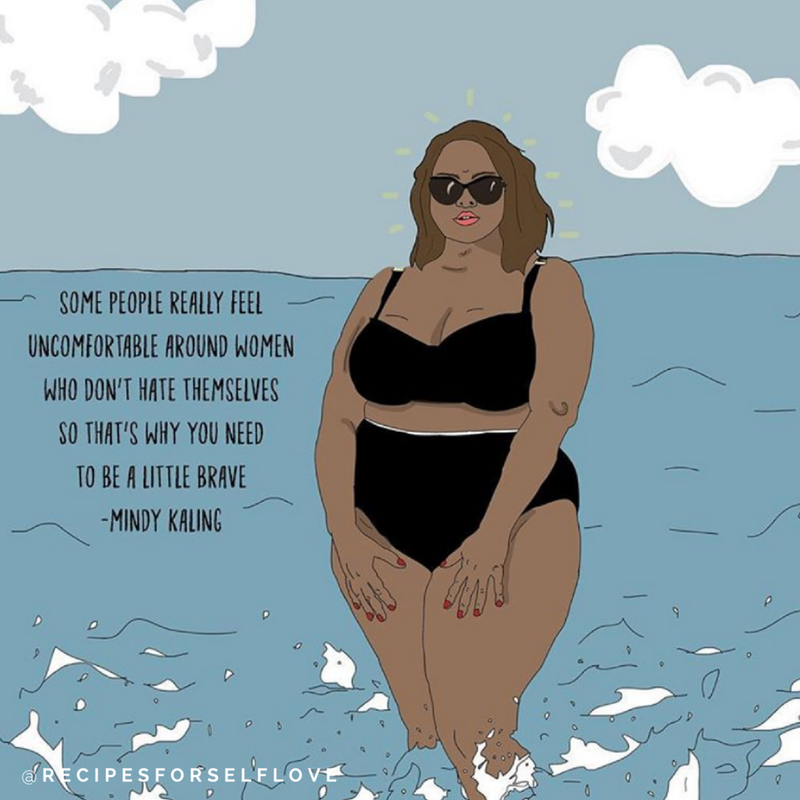 MORE RECIPES FOR SELF LOVE. "Certain pains can make you sick if you hold them too closely. So it’s okay to put them down for a while. Give the arms rest. Your arms that is, the ones that..."
Affirmations to help you let go. Black women across the country are rooting for you. Peep what they wish for you here. "You, yes YOU, have permission to be human. To need. To receive. To break. To heal. To rest. To change. To grow. To..."
Encouragement to feel what you feel. "These are challenging times. Dear Black Women greets these times with a tender reminder for resilience; not because it is easy or fair, but because we are worthy..."
"You give, give & give until your cup becomes empty. Don’t you realize you need nurturing too?" Affirmation that you need nurturing too. "This is my Black girl manifesto. Sometimes I hesitate to stand in my light, but I rather blind the world with my brilliance." Affirmation to stand in you power. "We know. It's not something we want to talk about, but it's something many of us feel. And when we feel it, it's easy to want to turn away, to fold into ourselves, to doubt who we are. We know. You're not alone." Affirmations when you feel rejected. "I wish I knew how to talk to you. I wish I knew what to say. I wish when I said you’re beautiful you believed me." Affirmations to be more patient with yourself. What are the hardships you've been through that have molded you into the amazing, formidable woman you are today? Affirmations on the power of transformation. Self-care is imperative for Black women. We often find ourselves in spaces, relationships, institutions that require more from us than they give back. So, we repeat: self-care is imperative for us. Affirmations to inspire you to self-care. Life can be hard, but figuring out small things you can do to show yourself how much you care shouldn't be. Dear Black Women stands in affirmation that we deserve credit for our genius. "Your perspective, your life experiences, your lessons, your wisdom, your being are necessary." Affirmations to the genius in you. 5 self love exercises that are super simple, relatable and quick. Give yourself 5 minutes of your time to finish these sentences. "You survived all of the predators, and heartaches, and bullets, and make-america-great-agains, and the the cops who were just 'doing their job', and the niggas who...."
Affirmations to remember you are enough. "Don't forget: You can start late, start over, be unsure and uncertain, look different, act different, try and fail, and still succeed..."
Affirmations for just being you. "Lean into those places that don't require you to tuck in any parts of yourself; that honor your truth and encourage you to speak it..."
Affirmations to go where you are wanted. "May we know safe spaces where we are welcomed to be who we are. Where the best of you is reflected and celebrated." "May you have a squad that roots you on in ways you could never dream of, but in ways you deeply desire!" Affirmations for the crew love. "You are worth hearing the magnificent truth about yourself over and over again. You are..."
"You are creative. You are inventive. You are dynamic. You are powerful. You are genreless. You are boundless..."
Great News: Our Founder Wins Entrepreneur of the Year!